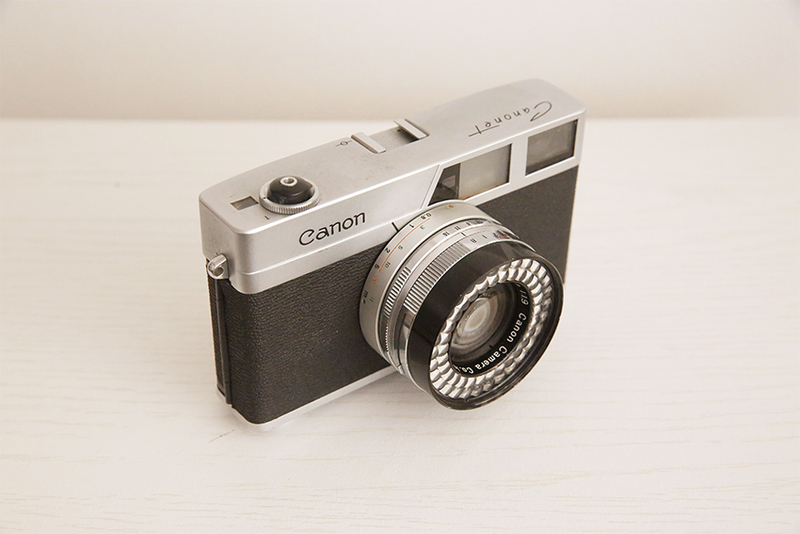 This is a first version Canonet 45mm f/1.9 from 1961, sold then for 18,800 yen, bought for 400 (~$3). The technical appeal of this device was the selenium meter cell wrapped around the lens, which allowed it to power a shutter priority mechanism based on the ASA and aperture. A unique construction here featured a bottom winder and a bottom film release. Apparently when it first went to market it sold out in a matter of hours, primarily because it was considered incredibly cheap.